Welcome to Wow! I hope your week is going well. I am busy this week preparing to attend the Haven Conference again this year. We have been away the last two weekends and this will be my third weekend away, but this time without the hubby. Let's look at a few features from last week and get this party rolling. Check out this super cute kitchen reno with before and after photos by Leaving the Ivory Tower. Great planked wall by Potentially Chic and Gracie likes it, too. 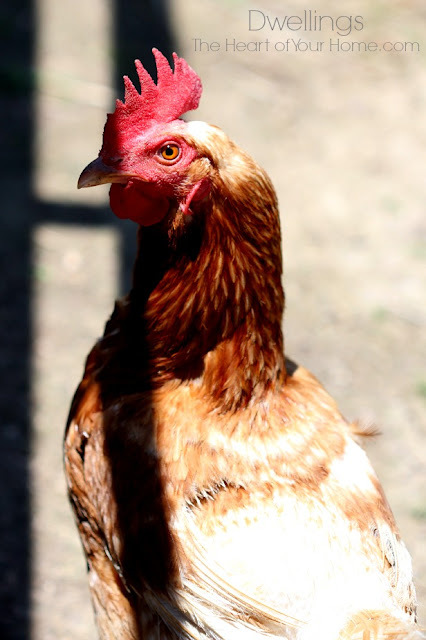 Cindy of Dwellings-The Heart of Your Home captured some great shots of chickens while away on a camping vacation. Paper Daisy Design built Tucker his special raised pet feeder. 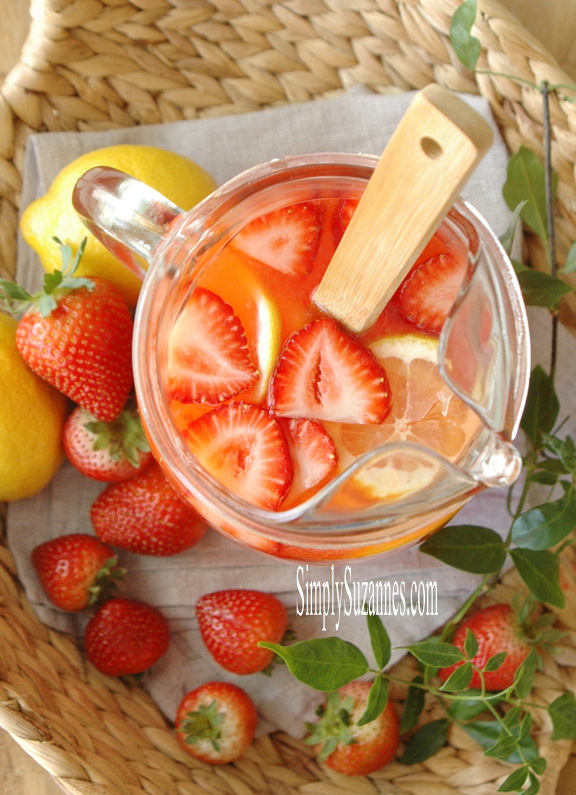 This fresh strawberry lemonade by Simply Suzanne's sure looks good for these hot summer days. Thanks for joining and let's get this party started! Thanks for hosting Kim. Love your new backyard grass. Have a great week. Great features...and love Tucker's new feeding station...such a cutie! Thanks for hosting...have a great evening! So glad my cutie caught your eye. Love for you to come visit and build one too! Thanks so much for the party - so many great features ! thanks for having us over to party, Kim! have fun this weekend! So crazy excited to see that you featured my Strawberry lemonade! Woohoo! PS Your backyard is coming along beautifully! Love seeing the progress! Thanks so much for the party !! Thanks for the party, Kim. Have a great week. Thanks so much for hosting. Have a good week. Have fun at Haven, and thank you for hosting us. Love the features! See you at Haven, Kim! Thanks so much for hosting Kim. Hope you have an awesome time at Haven. good luck at/with the conference :) thanks for hosting us! Kim, thanks so much for hosting and for those great features! Have a great evening! Thanks for hosting Kim! 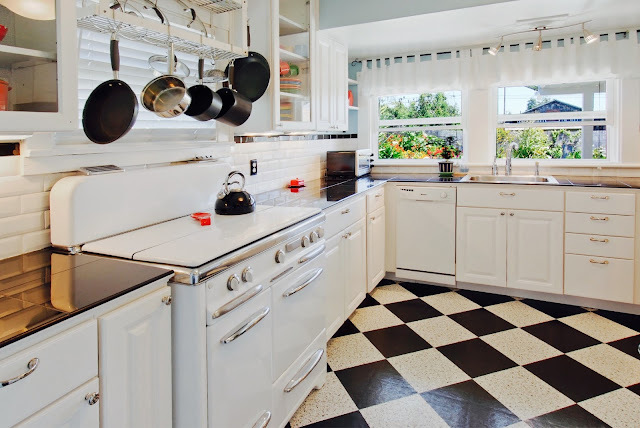 I so loved that retro kitchen! Love Potentially Chic's Yorkie! Thanks for hosting the party, Kim! Thanks for hosting the Wow Us Wednesdays party, Kim! Thank you for hosting! So many goodies to take a peek at! Thanks so much for the party Kim!!! Can't wait to see what everyone has been up to! Thanks for hosting, Kim! Having a little "Haven Envy" - but, have a fantastic time! Be sure to share pics on social media! Hi Kim--thanks so much for hosting your lovely party week after weekk==it's much appreciated. Thanks for hosting Kim! Great ideas and inspiration!! I always appreciate your parties....thank you for hosting! 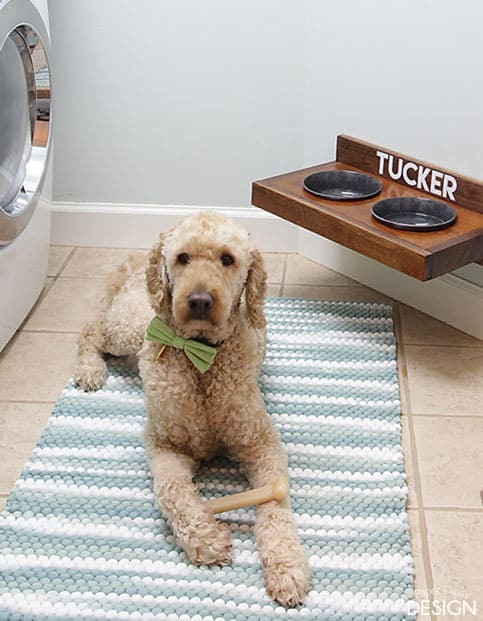 Thank you for featuring Tucker and his dog feeder! I enjoyed meeting you at Haven! Oh wow! I just saw we were featured! I saw you several times at Haven and never got the chance to introduce myself. Thank you so much for the feature!